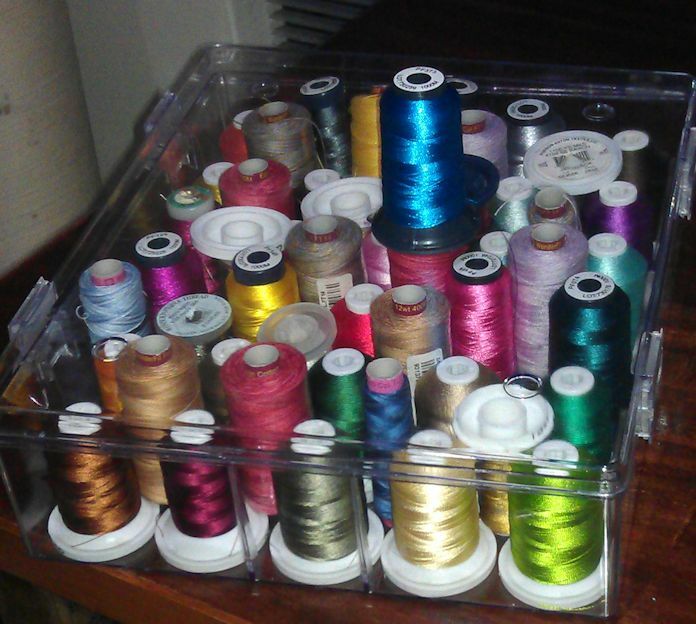 But I can’t put the BIG thread spools (those 5000 and 10000 m spools) on or in any of these thread storage devices. 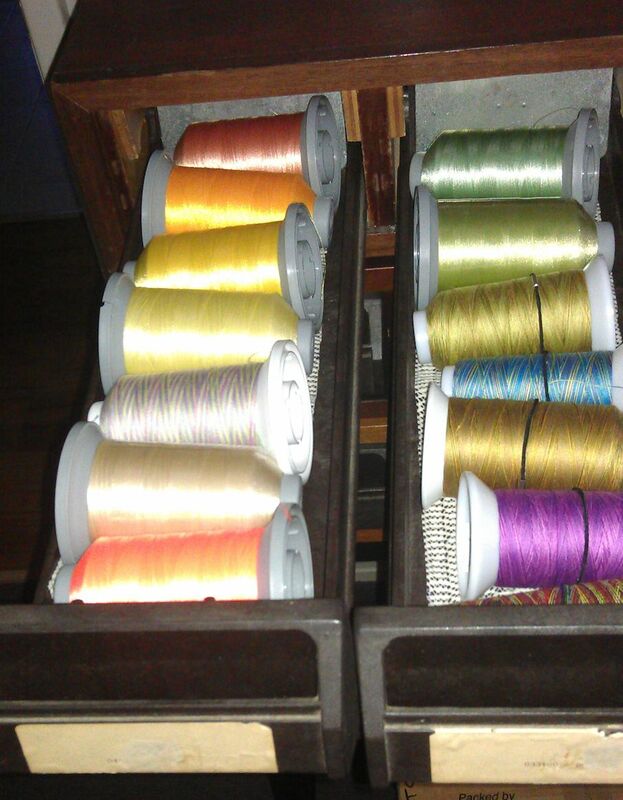 And I’m buying more of these larger spools as they offer value for money (especially the Fil-Tec threads). What to do? Well, in my previous career I was a teacher-librarian. 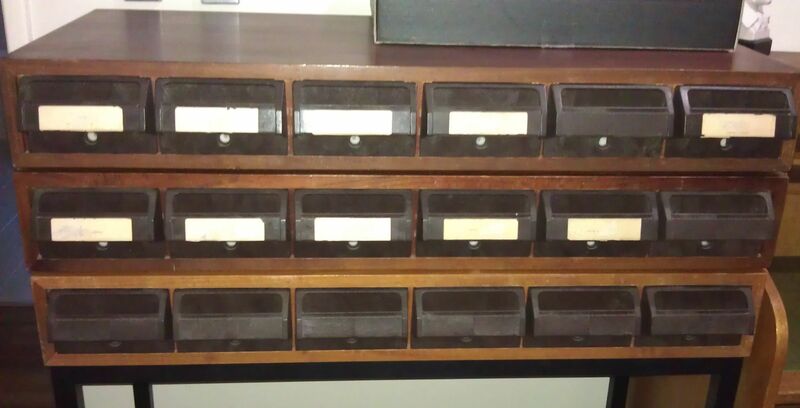 We automated the library catalogue and circulation systems back in about 1990, and there were whole banks of catalogue drawers and stands that became redundant. I contacted the guy in charge of library furniture at the Ed Dept and he gave me permission to take one of the stands and the catalogue drawers on it as they had no use for them (most schools in our state automated their libraries between about 1991 and 1998). So for years I’ve had these drawers. 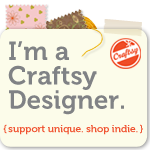 My husband used them to store his cassette tapes for several years, then when we moved south, I used them to store my fat quarters of fabric. When we moved to where we are now, I didn’t have a use for them, so put them in the shed. Good to see the old drawers put to good use. Spent quite a lot of time with them in my day. Yup…..a gal after my own heart!!!!! LOl! Nice storage unit. Really they are better off in a covered area. 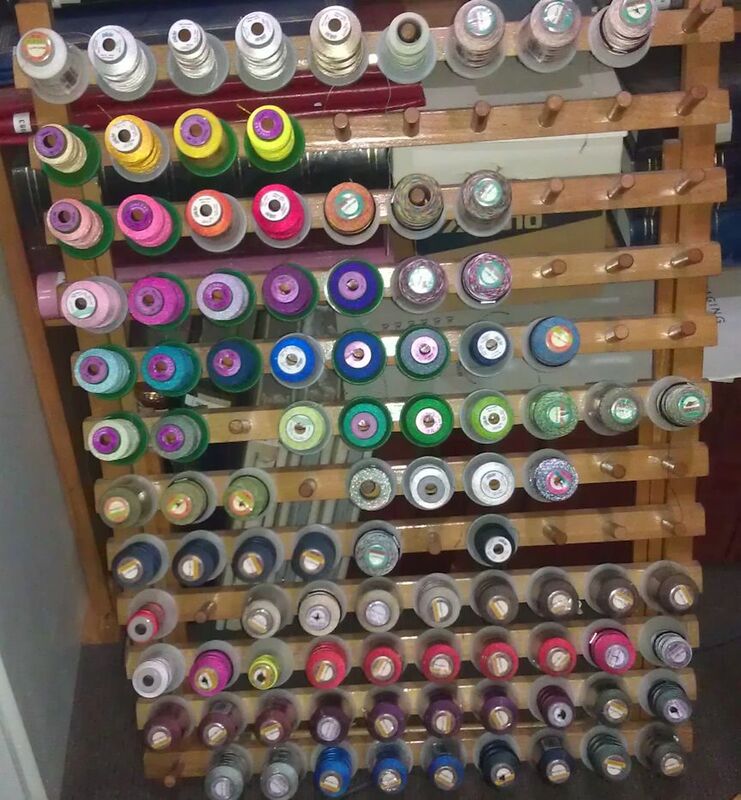 Mine all sit on a spool rack on wall (not near as much as your stash!) and they get a lot of dust on them.